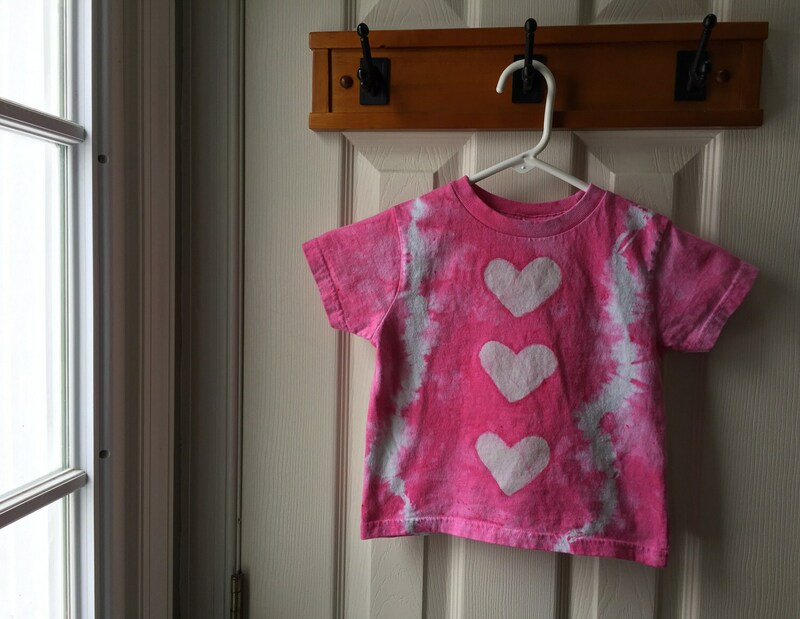 Three batik hearts line up down the center of this pretty kidss tie dye shirt. 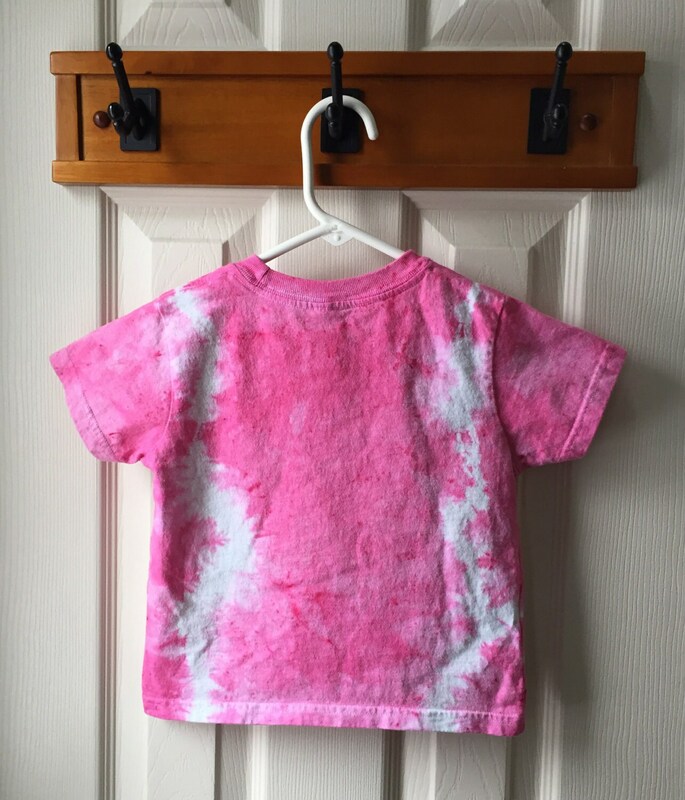 I stenciled on the hearts and added some tie dye before dyeing the shirt bright pink. 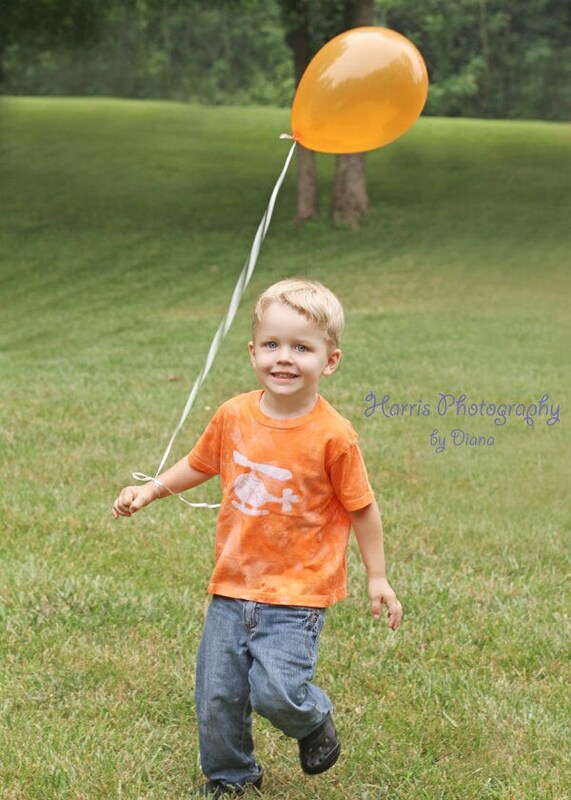 This is a size 4T (fits like 3T) Rabbit Skins brand short-sleeve shirt. 100 percent cotton. 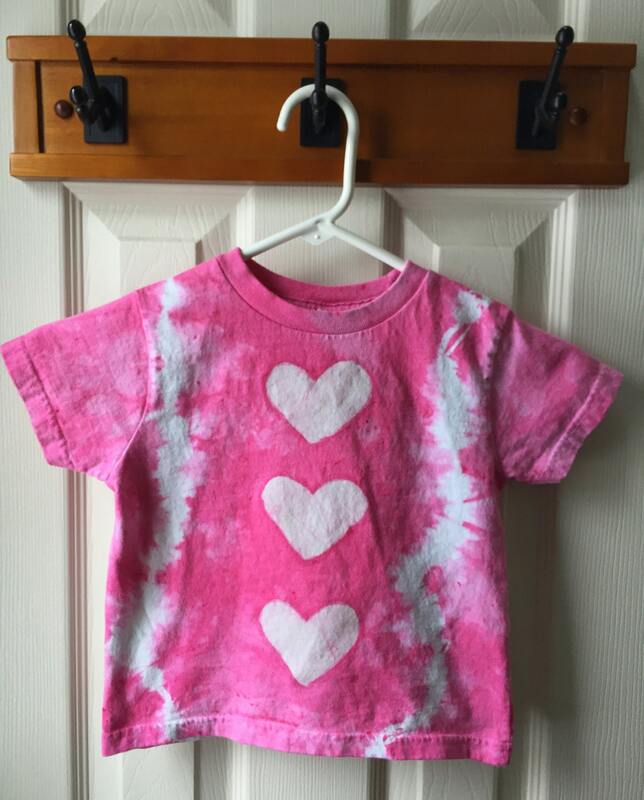 Pretty and fun for Valentine's Day and every day!